This product is available at Amazon.in, Snapdeal, Flipkart, Tatacliq, Infibeam. 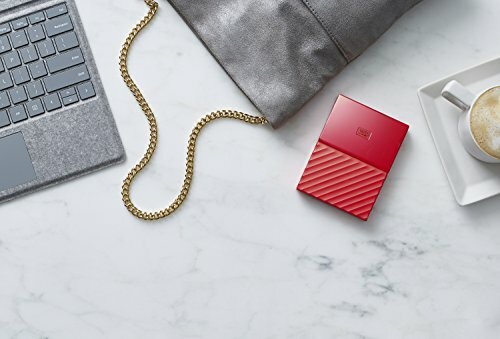 The lowest price of WD My Passport 2TB External Hard Drive (Red) was obtained on April 24, 2019 8:26 pm. 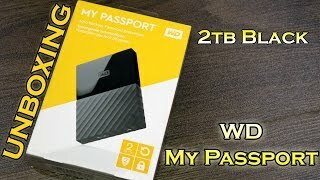 I have a segate 1 TB HDD and i bought WD 2TB HDD . Today WD has been delivered. Its robust. I bought Red color. Quality of WD is much better than segate if we think from durability point of view. Red colour look great. But the data transfer rate in seagate is 18MBPS where as in WD speed is 12-13 MBPS for same sort of data. This is my first review for WD . Let me check some days and update you if any. Looks good and feels light. Needs a cover or will not last. Can’t comment on durability after just 2 months of use. I get reasonable transfer speeds from usb 3 ports. Would’ve preferred usb c rather than a proprietary connector. At anything above 5. 5k this would be expensive. Can go for it but buy on sale when prices fall. No doubt hard disk(2tb) is working properly, as it supposed to be. also it was delivered in scheduled time.But I doubt the life of this one ‘latest model’ as the thickness is less compared to old one(2tb) which was available till may-june 2018. Lesser the thickness of the plates inside of the hard disk lesser will be its life. Personally I feel older was much better. 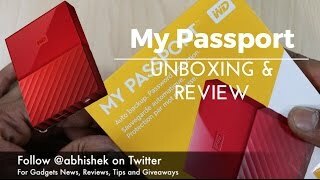 I ordered this item on 10 oct 2018 and delivered it to me on 16 oct 2018.I got this external harddisk at 4500 rs at the time of amazon great indian sale.Look wise it’s great specially the red colour is very attractive.This product is too small beyond my expectation and light weight.You can easily carry this drive on your pocket(prefer to use a hard case).At the time of transfering any data from my laptop to this drive is vibrating more than the regular.Before buying this WD 2TB i was so much confused between WD 2TB my passport and seagate backup plus slim 2TB but finally go for WD 2TB my passport.At the time of research on it i found that the failure rate of the seagate drive is more than WD.but both are a very good company to produced storage drive.Regarding the delivery it was not so good.Amazon delivered this product to me without any airbags in it.They just put the box to a amazon regular pack and without any protection they delivered the product.It can damage your product at the time of transit. 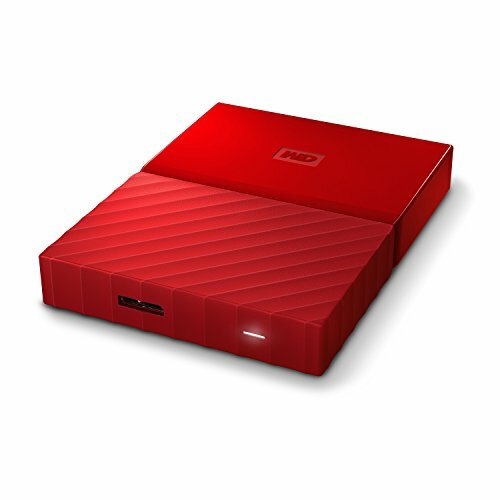 I ordered 2 TB-Blue for Rs 4500 [4999-499(10% instant off, SBI)] The product was eligible for free 1 day delivery from Dankuni warehouse to Dumdum, Kolkata.The product is very compact and light-weight. Maximum available storage is 1863 GB because storage manufacturers consider 1000 byte= 1 kilobyte, 1000 KB= 1 MB etc. (They use 1000 multiplier instead of 1024) The hard disk has 1 partition using the GPT scheme. WD kept about 1 MB unallocated at the beginning and at the end of the primary partition.Always perform the surface test and SMART test after buying a hard disk. I have used lots of tools to benchmark and to check the health of the hard disk.1. Windows Data Lifeguard Diagnostics2. CrystalDiskMark, CrystalDiskInfo3. HD Tune4. Hard Disk Sentinel5. EaseUS partition master6. DiskCheckup, GSmartControlAverage random seek time: 0.76 ms. Read speed/ Write speed depends on a lot of factors. Read speed at areas with data: about 70-80 MBPS, Read speed at empty areas: 220-250 MBPS. The surface test took about 2 Hours 10 Minutes because most of the hard disk was empty. Write speed is about 80-90 MBPS. The temperature was about 44-45 degree Celcius during heavy read-write (atmosphere was about 30 degree Celcius). Please see the attached images for full test results.WD pre-loaded some software for users in the hard disk. 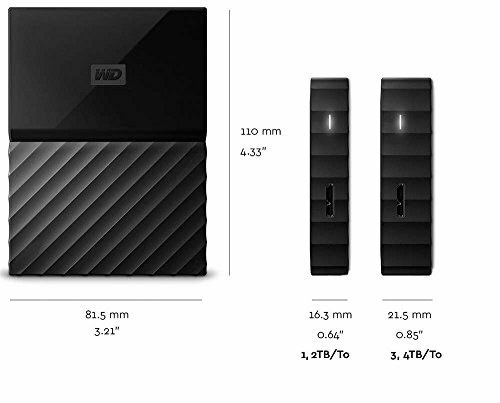 WD Discovery, WD backup, and WD drive utilities. The offline installers are outdated and they need to be updated later. Thus, if you have an internet connection, I recommend downloading them directly from the official website. Also, download WD security if you need to password protect your hard disk. WD discovery software doesn’t do much except helping you to install other software. Thus you can skip this one. You need to configure WD backup to enable automatic backup. You can import/export from/to online storages. You can also disable the blinking LED light, enable idle sleeping etc using the software.Register at WD official website to check your warranty status, product manual etc. Warranty is 3 years from the date of invoice (not the date of delivery). Register at UpThere (Parent organization: Western Digital) to get 20 GB free online storage. Kudos to amazon again for the delivery. 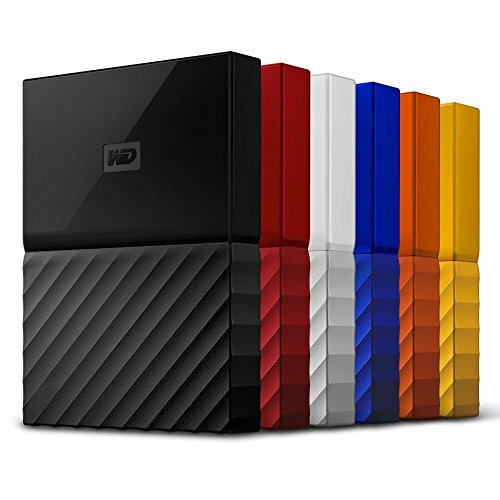 They’re always reliable and take good care of their customers or at least I’m speaking for myself.Then coming to the product itself I’ve 3 hard disks and all three of them are western digital 2TB brought in different years and each single one of them is working fabulously so far. No complaints whatsoever till now. I’d recommend it to my friends. 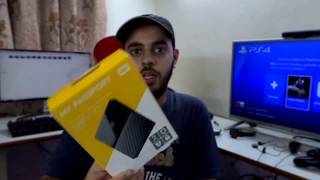 The first thing i liked about this product is its lightweight for the storage of 2TB.I received a genuine product from Amazon at a pretty good deal of ₹4499.The speed test conducted using CrystalDiskMark6 provided me Read speed at 133.6 MB/s and Write speed at 122.7 MB/sLoved it totally! Performance is nice. Cable provided should be some more long as desktop users face some difficulties. LED light indicator serves its purpose. Faster. 3 years warranty given. Size is so handy. 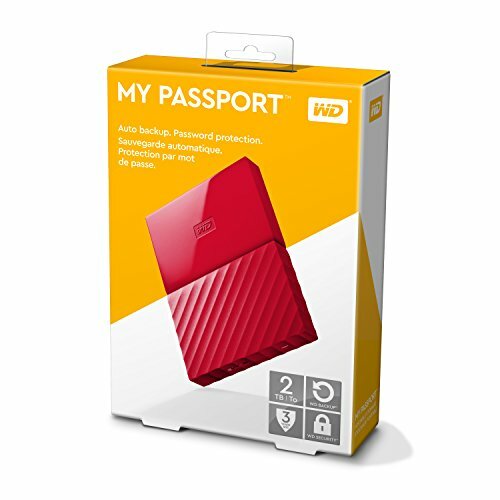 The WD My passport External Hard Drive 2Tb firstly when it was delivered it was working good and speed was great, but the next day the speed was not like the other day and on the third day it was very low on speed and suddenly was not able to detect on my laptop, on any port. So, I had to return it.Not a great experience for a first time buyer of External Hard Drive. My drive failed today, 5 months after I bought. 3 YEARS warranty and completely zero physical damage or anything really. Just decided to fail. Let me tell you the horror story that follows:If you go to avail warranty on WD’s site, you’ll realize that it does not say ANYWHERE that they can repair it. Because they can’t. They can only replace it. That’s understandable sure. As long as they recover you data and give it to you on a new drive right?GUESS what. They don’t. If you want to recover your data, you have to pay to do it yourself. Moreover, they have the cheek to first MAKE you fill out a form so that they can APPROVE that you’re doing data recovery, because doing it yourself directly voids your warranty.THEN, you have to somehow scrounge up another completely empty drive to backup your failed drive’s data at whatever third party you go to recover data, pay that service from your own pocket, start an “RMA” process, then ship the bloody failed drive to Bangalore, pay for shipping and wait for them to send you a replacement drive, which they’ll probably take their own sweet time to do.I used to really trust this brand. But it’s pathetic now. 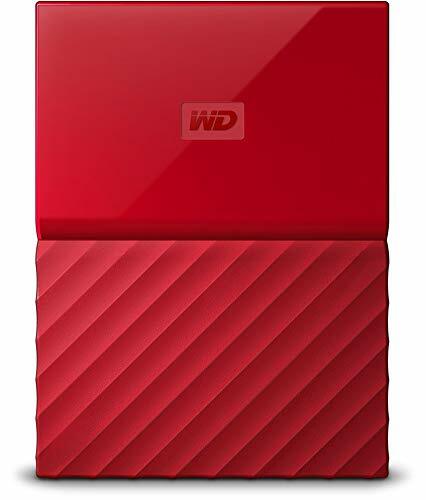 I’ll think 10 times before I buy a WD.Western Digital: If your drive fails, save yourself the burden and just kill yourself instead. Worst product. Lost my 400 gb of data saying parameter is in correct .This is second time iam experience in this issue with same company drive. Do not buy this.